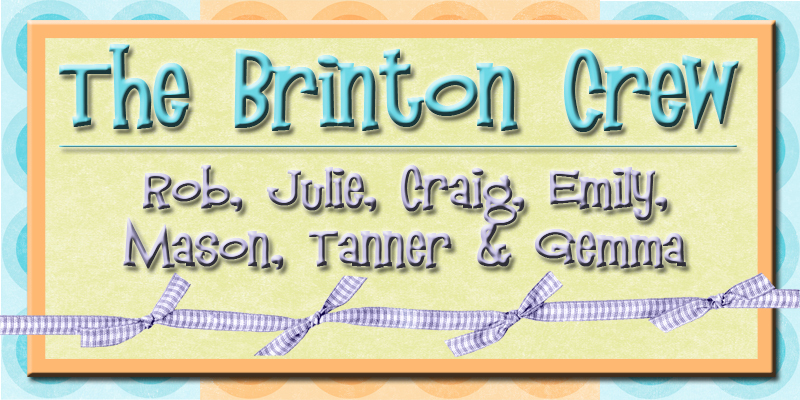 The Brinton Crew: We were having such a good day. We were having such a good day. Gemma was having a good day and then around 5:30 tonight I was carrying Gemma from the kitchen into the family room when I slipped on the tile floor sending Gemma face down into the floor. Immediately blood started coming out of her nose and mouth and she had a big goose egg on her forehead. I lost all control and just started crying. I know that's not good because it just upsets the kid more to see mommy crying, but I couldn't pull it together. I called my sister-in-law who lives down the street to see if she could come over to help me get a hold of myself. With me crying and Gemma crying in the background the only thing that she understood me saying was come over, and she did. Thanks Staci!!!!! After I called Staci I called Rob and told him to come home because we needed to take Gemma to urgent care. I don't think he really understood me either, but he also closed down shop in a hurry and came home. So what do you think. I thought for sure she broke her nose and lost half of her teeth. It was so sad. Well Gemma was such a good girl at the doctors office. She actually slept through most of her exam. She didn't have a nap today and after all that she went through she was so tired. The doctor said that the nose looks straight and she has all of her teeth. 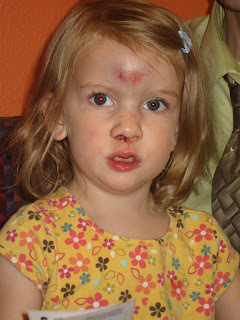 She is just going to have a really big bump on her forehead, a swollen nose, and a puffy lip for awhile. Gemma told the doctor my mommy dropped me. It made me feel so good. The doctor was very kind and gave me a hug, and let me know that Gemma was going to be fine. Good thing we got family pictures out of the way last week!!! 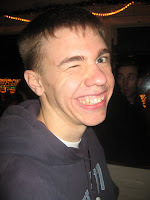 I'm throwing this picture in for fun. Rob made me this plate shelf display case for me for mother's day. I've been wanting something to display my cute plates and mugs, and this is perfect! It's going to look great on my kitchen wall. Thanks honey for a wonderful mother's day!! Don't feel too bad, we have all fallen or nearly fallen at least once while holding our kids. 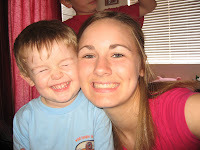 I almost broke my foot falling about a month after Zane was born while trying not to drop him. Good thing kids are resilient. Oh my goodness! I am so sorry! Poor little girl. But I agree with the last comment, don't feel too bad. I fell down the stairs with McKay once, luckily I was the one that broke something and not him. OUCH! My mom sent me the picture of Gemma and I had to delete it because I have such a weak stomach (the smaller version on the blog was much easier to look at). I tripped and fell and hit Powell's head on the sidewalk when he was just a couple months old and cried and cried because I thought I was going to give him brain damage or something. Good thing kids take falls much better than us adults! Your plate rack is SO cute! I guess I'll just have to buy one!! I would have freaked out too! She looks so sad! I'm glad no permenant damage. And congrats on the Krisy Kreme reopening!!! Poor Gemma and poor you!!! I am glad she's ok and it wasn't too serious... although it certainly looks that way! And super cute plates by the way :) We miss you guys!! I am having Julie withdrawls! I am so sorry! That picture is painful to look at! Poor girl and poor mommy! I hope you are both feeling much better. 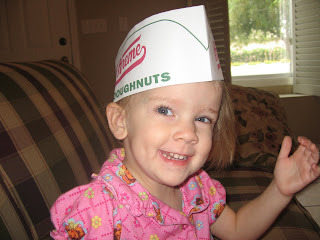 Oh, also you are crazy for going to Krispy Creme so early! You must be a true lover! Ok...1st of all...I am so glad I was home & HAPPY to come over ANYTIME! You are an AMAZING mom & I'm sorry you had to see Gemma in pain, but it was in NO WAY your fault...I don't care how many people Gemma tells that you dropped her! Things like this happen & I'm so glad her nose wasn't broken & no stitches & no broken teeth! 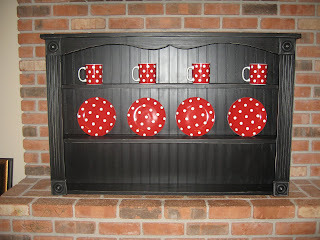 2nd of all..I saw that plate rack & meant to ask you where you got it cuz I thought it was SO CUTE! I should have known Rob made it! What a great Mother's Day Gift! I LOVE it! Ouchie!! I am glad you are both ok. We all have stories like that and you always feel about one inch high when it happens. I love the display case. Rob is so talented! Hope Gemma is feeling better soon! :( How sad, Poor Gemma, That looks like it hurts! & I would have freaked out too! I am glad she is ok! & your plates are so cute! What a good hubby you have to make you that! ok so I hope its ok that I am posting a comment on here. I dont know who I feel worse for, you or Gemma. I would have totally lost it too. I love your plate shelf and LOVE your plates!!! I want some of those. cute blog and cute family.